My favourite step in make up is definitely eyes and eye shadow. I feel like on everyone the eyes are one of the most important feature on the face - the feature that can tell so much about a person. Everyone has their favourite eye shadow palette whether it's the ever so famous Naked palette from Urban Decay or any other however I always find with palettes there's a colours I love and will use daily and some that I won't reach so much. When I first discovered Z Palette and the ability to build your own palettes I thought it was amazing and after trying Make Up Geek eyeshadows for the first time a few months ago I swiftly fell in love and went on a mission to design my perfect palette which I reach for every single day and there is not an eye shadow in this palette I have no yet used. The palette, nicknamed my 'life palette' is mainly Make Up Geek eye shadows but contains 2 MAC shades. 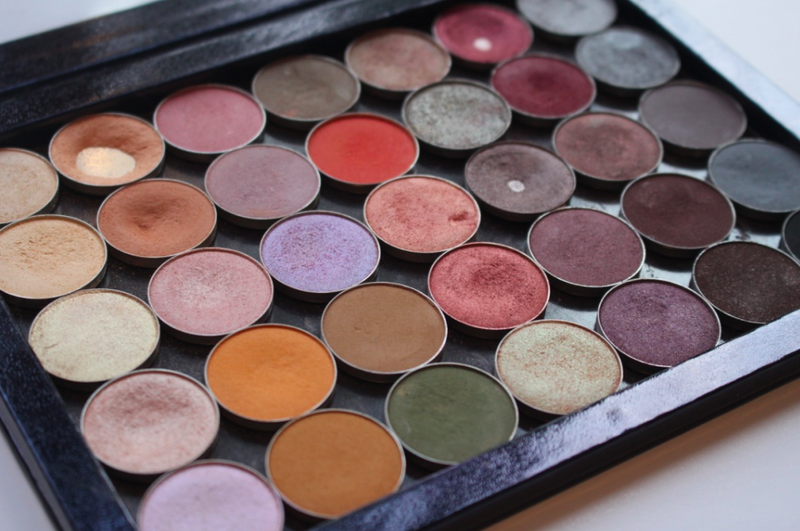 It's full of neutral shades with a few more purple toned colours as on my green eyes these are one of my favourite colours to use on my eyes as it makes them appear more green. However I also have a few green toned colours as again on my green eyes it compliments the colour perfectly. My palette has a variety of matte, satin, shimmer, glitter and foiled finishes depending on what look I am achieving. I definitely feel like I have the perfect base colours, transition colours, crease colours and lid colours for my skin tone. 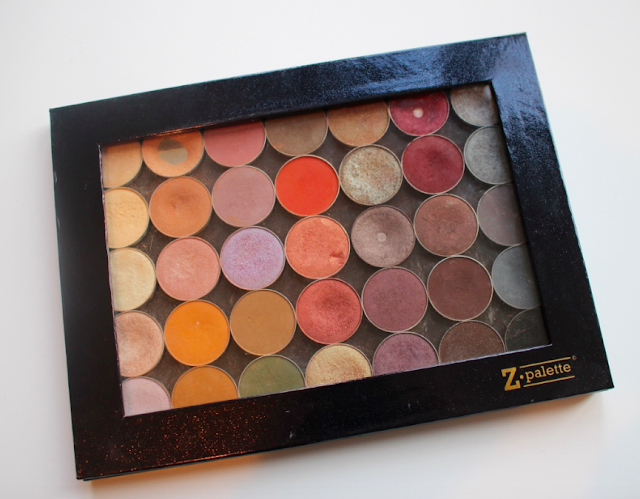 The palette I use is the Z Palette Extra Large which holds 35 eye shadow pans. A lot of questions I get asked when I mention the Z Palette is whether it's sturdy enough that it doesn't get tatty and it definitely is. I carry mine around with me everyday to and from college and when I do my freelance work and it's still in perfect condition. 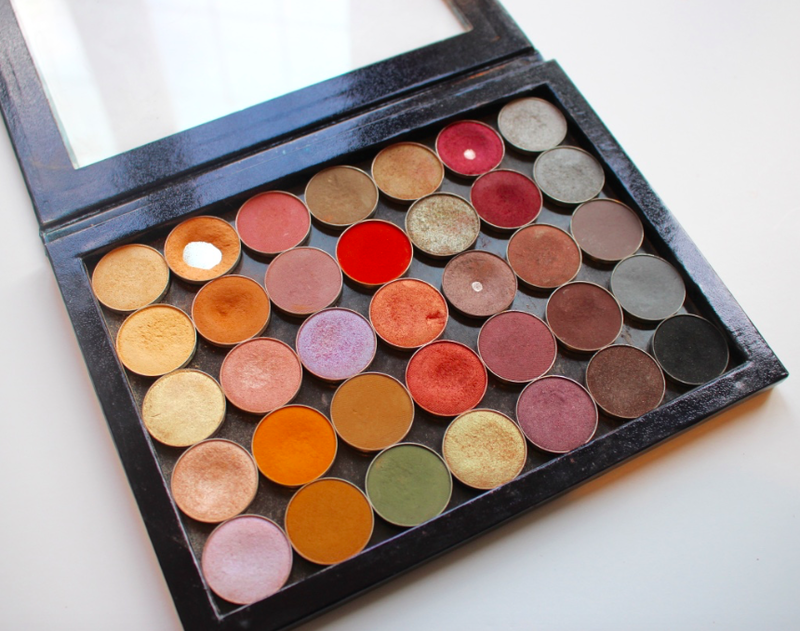 The magnetic part of the palette is very strong so holds the eye shadows securely in however Z Palettes do come with a pack of magnets you can stick under the eye shadow pan if you want that extra security. 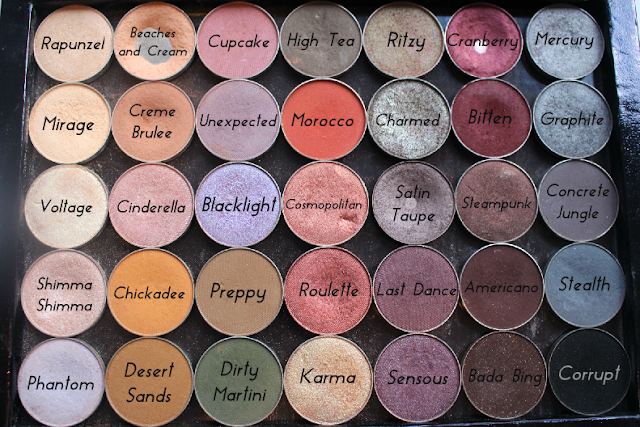 Like previously mentioned I have all make up geek eye shadows except for two MAC shadows. I buy my make up geek products online at beauty bay but I have also purchased straight via the Make Up Geek official website. 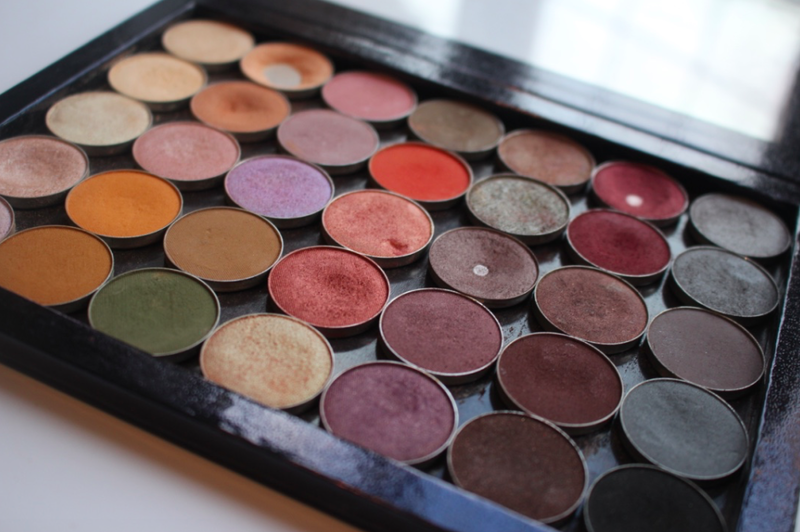 I really recommend the make up geek eye shadows, they're my favourite brand by far and think they're far better than most higher branded eye shadows I have ever tried in the past. 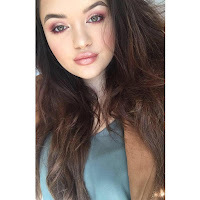 I would definitely recommend Make Up Geek eyeshadows, I use them every day on myself and clients and they never fail to amaze me. They're extremely pigmented and blend perfectly, no matter what colour I will always get people asking what eye shadow I use. They're extremely well priced with the quality of a high end product and I know I can trust them. Now you know my favourite eyeshadows that I will use on my self or take with me to use on clients no matter what the occasion is!